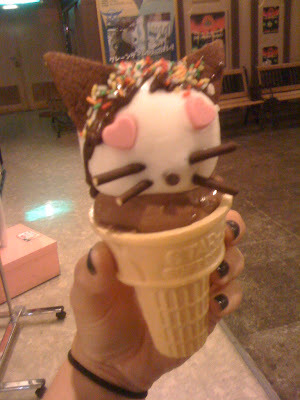 Catsparella: Cool Down With Some Cat Ice Cream! Talk about ice cream dream! 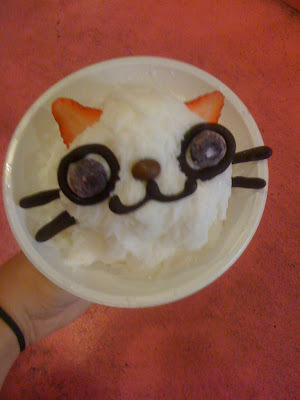 Flickr user Sarah Box recently celebrated her birthday with these amazing kitty creations found at Cat House and Ice Cream City in Tokyo. If I went to a shop that was selling these, I'd pretty much pass out on the spot. FaRADaY: oh dey looks NOMMY! Mommy canz I has one??? Oh my catness!!! How much more super sweet, yummy, yummy, adorable can ice cream get!? Lol! The face is hilarious. If I were to take that outside where I live in Kansas it would melt so fast- 111 degrees today! Great summer treat though! i so love it! there's no way i would eat them..so adorable...don't wanna let them melt.